She is as sweet and precious as these tiny perfect round pearl earrings. They are simply darling on babies and children, and are great for everyday wear and dressing up. 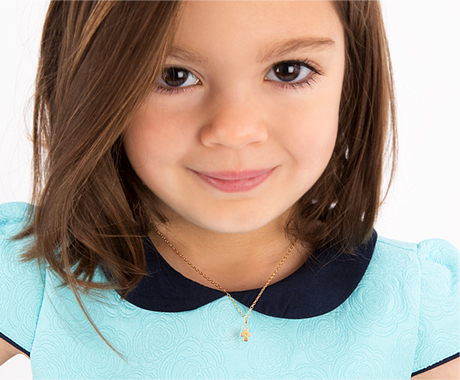 Valentine's Day is the perfect time to get your baby girl her first pearls! Made with all authentic, high quality materials, these 14k gold, AAA-Grade Pearl earrings with safety screw backs are hypoallergenic and made perfectly sized for kid's little ears.